I used to be able to see my separate expenses on my charge card statement. I probably shouldn't stay on Etsy. I have my own website that's doing pretty good. I may leave Etsy as well. They screwed up things just like eBay has. Sales have plummeted and did so almost overnight. My guess is that it is related to an algorithm tjat they manipulated. I have no time for that. I have no time for "hide the listings" algorithms. I will only sell on sites where search is not manipulated. Buyers need to find what they are looking for. One might conclude ETSY has no comprehension of the concept of cashflow management. Then again, it would only be their cashflow they'd be concerned about. eBay is certain to be watching incidentally. Hope any of the poor souls still trying to eek a living from that swamp can prepare. "Then again, it would only be their cashflow they'd be concerned about." Bingo. Yet another ecommerce web site that doesn't listen to their customers. I'm so glad I didn't sell on Etsy for very long. Make that list on Etsy for very long as I didn't sell a thing there. Reading over that explanation above makes my head hurt. I admit I'm not a math wiz, but how do you have $40 in fees, sell $30 of merchandise, and owe $40? I can see why Etsy sellers are confused about what's going on. Sure enough,the guy buys the items weeks later, not remembering the crazy email user id, we ship. With Etsy it's always one step forward and three steps back. The only good thing they've done in recent days is their new advertising campaign. However, any hope that I have that it will help turn things around has already been dashed by subsequent developments, especially the new payment system. The search and algorithms are still so FU that nobody can find my items anyway. No matter how much I pay for their promoted listings and other marketing offers. Nothing seems to work. Now am seriously looking to add another platform. No way can I keep all my eggs in this one basket. Question: I make 6 labels for my orders, each around $50. I see -$300. in my payment account. I get a sale for $300. After fees, I see -$30. in my payment account. When do I get to buy my supplies, pay my rent, or feed my kids? This set up means I won't do anything but pay Etsy, doesn't it? We don't need folks to come to this site to explain how self-serving billing practices work, because I get the feeling every shop owner impacted already knows. I will "experience" this every time I print a label, as many of my labels can be upwards of $70. each. 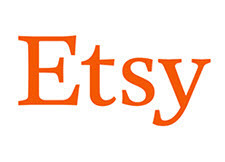 So how is this some great thing that you rolled out to make selling on Etsy easier? I had 2 sales in 2 days totalling over $700. and my deposit was $102.44 yesterday. I created a label today and I'm back to -$48. I have to print 3 more labels this weekend, so guess what happens when I get another sale? "Sorry kids, looks like the folks at Etsy are eating your dinner." Is that what this system was designed to do? I haven't moved over yet but will soon and even though the above scenario is confusing I do understand the method. I'm paying my balance day to day so when I do changeover it won't be as bad. We ended all our listings yesterday and decided to close our shop at etsy, we still ow them money in fees, etsy will not allow anyone to close shop until all is paid, sure makes perfect sense, the problem is now with this backwards accounting there is ABSOLUTELY NO WAY to pay the final bill without a new sale. Non-US sellers are finding small discrepancies in how much they are being charged, often 5.2% on transactions instead of the announced 5%. Etsy hasn't been very forthcoming about how they intend to fix this, which they admitted was a bug. They don't seem to respect sellers enough to communicate with them properly. Etsy always behaves like its sellers are replaceable, so it doesn't care what they think. How many businesses constantly throw away their own customers? It can cost 5x more to attract new customers than to keep old ones. Don't they know that? The timing of this release could not be worse. It is the busiest time of the year and when we really need our funds the most. I should be focusing on stocking, selling and getting orders out the door. Instead, I spent two days sorting through a cluster-fudge of finances. Realizing it will be a while before I see a deposit. I did turn off my promoted listings as well to stop occurring more fees. The hardest part is you can not get through the phones lines to Etsy, this has been going on for over a week now. If you e-mail them with questions, they will send you an automated response. The bug forums are lit up like a Christmas tree and again, no response. We have a new payment system we don't understand fully and no help. I've always been a fan of Etsy, but this latest change has really dimmed my Christmas spirit. This “pay as you go” Etsy fee plan may wake some sellers up to how little they are really making after fees and shipping. During my first month on Etsy getting a lump sum payment seemed good until my charge card came in with the FVF and shipping costs. Etsy is doing this to save the Credit Card fees they had to pay on the monthly payments and sellers leaving without paying. We cannot Close our account , because we ow money and we can't pay our bill because there's now NO Way to pay, unless it comes from a sale, and we have nothing for sale. Because eBay and Etsy (I dont sell there but my wife does) have run clear out of ideas on how to GROW the business, they resort to tricks to make it LOOK LIKE things are increasing - when they arent. Etsy must be burning through cash like theres no tomorrow - as is eBay - both trying to keep their crooked platforms afloat. Esty (but not so much eBay - but you can bet its comming) doesnt want to wait 30 days to get paid - they want/need the money NOW - and so thats what they are doing. Another case of management not understanding/caring about their sellers. This move sounds more and more like a company having cash flow problems that has found a way to try and improve it, at least temporarily. The next move will either be layoffs or another fee increase as they obviously cannot seem to get their spending under control fast enough and still show the growth that the shareholders are now expecting. Before they hired the new CEO critics had raved about how Etsy had avoided all the pitfalls that Ebay continued to have, but after hiring this Ex-Ebay employee as the new CEO they are following right down the same path of alienating their sellers over and over as they suddenly need more and more revenue to survive. It won't be long until the doors are wide open to sell anything on this site as they become desperate for the growth and will find they have chased off the sellers that made them what they currently are. Just as Ebay has done, but even faster. It is all about the money. The stock prices jumped up last week when they started this. Wonder what trick they will tell wall street in 6 months. Come up with another trick? ebay playbook. I also dropped promoted listings and very careful about new listings. Etsy just lost more than they gained. BUT they just needed a temp fix. when the greed sets in , they all forget who made them in the first place.